Our practice is located in the beautiful and peaceful countryside of Renhold, which is 2 miles to the north of the County Town of Bedford. Ample off road parking is available at the clinic and is free of charge. Our practice holds professional insurance and we provide flexible appointments to suit our clientele. 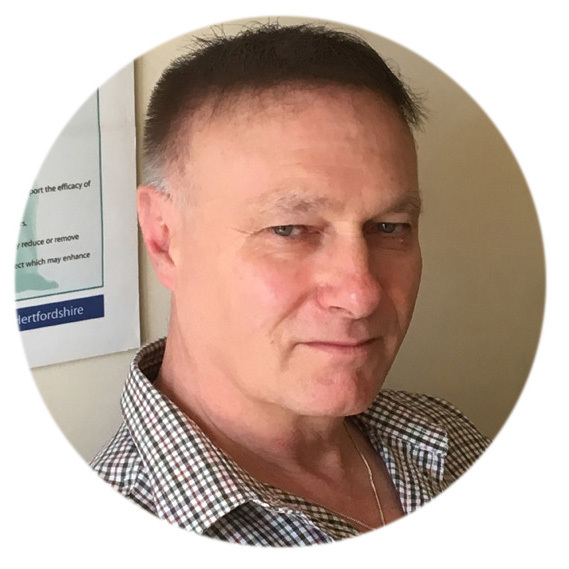 Kevin Walsh is a Chartered Physiotherapist, Clinical Hypnotherapist, Psychotherapist, Medical Acupuncturist and Reiki Practitioner. He originally worked in the NHS for many years as a Clinical Tutor, Senior Manager and Specialist Paramedic and was extensively trained in Anatomy, Physiology, Pathology and Patient Assessment. He has extensive experience in providing advanced levels of care in accident and emergency medicine for acute medical emergencies including trauma, minor injury and illness. His NHS career also encapsulated a 15-year period of Clinical Tutoring business management at the National Ambulance Training College. During his time with the NHS he had the opportunity to see and treat many clients in all walks of life and at differing levels of society. From this, he deducted that everyone is special but often not equipped with the tools to rectify or resolve life events and therefore, to be in a position to move forward in life. In 2005 he became a fully qualified Chartered Physiotherapist, equipped with the skills to assess and treat a wide range of musculoskeletal problems with the spine, joints and soft tissues of the body. The physical body can be patched up but the mind is deep, evasive and very special. Once in private practice he made the decision to fully embrace a holistic approach in helping people with both physical medicine and matters of the mind. He therefore decided to embark upon further professional training with The British Society of Clinical and Academic Hypnosis and the Academy of Clinical and Medical Hypnotherapy and Psychotherapy. As a result he is able to offer all clients a truly holistic approach to their health and well-being. Call Kevin today on 01234 772929 for a friendly and confidential discussion. Find out how he can help you. The clinic produces a newsletter periodically throughout the year for patients and other interested parties. Subscription is free. © 2007 - . Copyright Kevin Anthony Walsh Ltd.